Earlier this season, Bruce Pearl was brutally honest with his height-challenged squad. 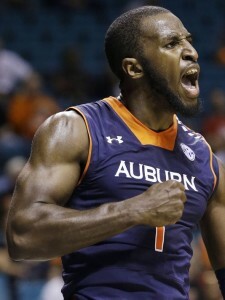 To make his players feel like they could compete with almost any team in the SEC, Pearl told his Auburn club that it could beat any team on its schedule. Well, any team besides No. 1 Kentucky. “The reason why I said that was because I truly wanted them to believe that we could beat Ole Miss or LSU or Arkansas or Georgia. Because to just say we could beat any team in the league, I don’t know that that would be a hundred percent,” Pearl said. 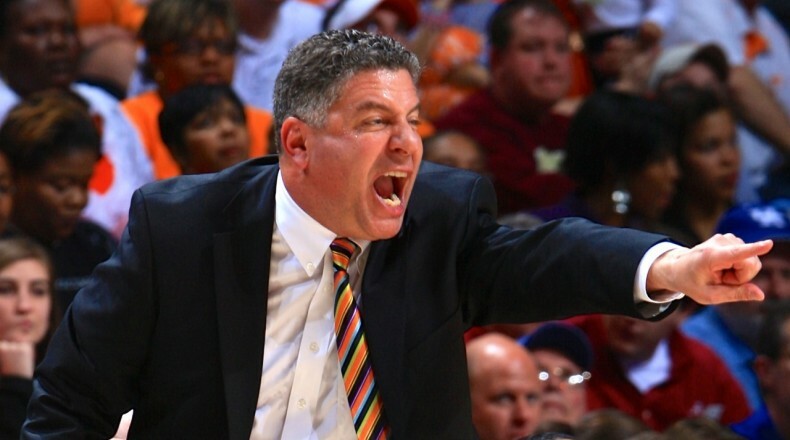 It may have taken a while to come together, but after the Tigers’ stunning overtime quarterfinal victory against LSU, Auburn is on a roll, having won nearly as many SEC games in three days (three) as it did during the regular season (four). It was an interesting second day of basketball at the SEC Tournament on Thursday. These are a collection of observations and thoughts from the day’s action, both on and off the court, in Nashville. Alabama’s Jimmie Taylor looks to be a player with a bright future. Although he only averaged 5.3 points and 3.9 rebounds per game this season, he matched his season- and career-high in scoring with 15 points against Florida on Thursday. It was his third consecutive game in double-figures. For a team that is not overly talented in the post, Alabama fans must hope the 6’10” sophomore can build on his performance next season. “[He] continues to show he’s going to be a force in the league for years to come,” head coach Anthony Grant said after the game. Speaking of Grant, there was plenty of scuttlebutt about whether he will return for a seventh season despite having reached the NCAA Tournament only once in his first six. The prevailing sentiment around those close to the situation is that the Alabama administration likes and respects him — Florida coach Billy Donovan said as much in his postgame press conference after the victory — and that he likely will get another shot at coaching the Crimson Tide next season. 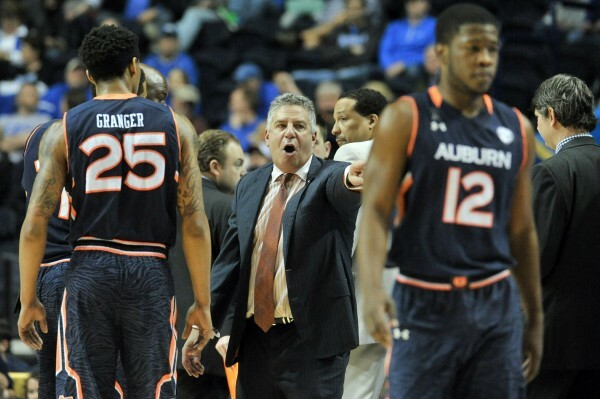 Auburn may have had a disappointing season but earning its first two SEC Tournament wins since 2010 is a step in the right direction for Bruce Pearl’s program. Without second-team all-conference guard KT Harrell on the floor, the Tigers would not be playing LSU in the quarterfinals. Harrell was terrific against Texas A&M, scoring a game-high 25 points and leading the Tigers to an improbable comeback victory. For Texas A&M, things started out well enough. 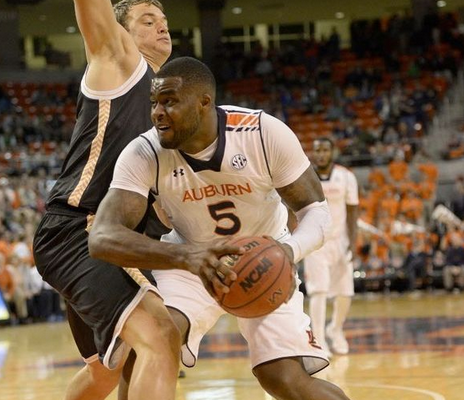 The Aggies opened a 10-point lead against lowly Auburn in Thursday’s SEC Tournament Second Round, only to see that lead quickly evaporate when the Tigers opened the second half on a 26-7 run en route to a 66-59 victory. The Aggies’ halftime lead was not the only thing that went up in smoke in Nashville today. Their case for an NCAA Tournament bid, which appeared strong prior to last week’s losses to Florida and Alabama, is all but over now. With few legitimate wins upon which the Aggies can hang their hats — before today, their strongest argument in favor of inclusion was the avoidance of bad losses, but that is no longer the case – head coach Billy Kennedy is left scratching his head at what went wrong. To be sure, playing without second-leading scorer Danuel House did not help, but Texas A&M is the more talented team, having completed a sweep of the Tigers just 12 days ago. Ultimately, though, the Aggies were done in by their inability to consistently score. “Danuel House, I mean, he’s our go-to guy. He’s a big moment guy. He’s handled the pressure for us for the most part all throughout the season. We really needed somebody else to step up,” Kennedy said afterward. Nobody else did, as only Alex Caruso (11 points) and Alex Robinson (11 points) reached double-figures, and the team as a whole contributed 0.83 points per possession. For Kennedy’s club, the loss probably ends the notion of an NCAA Tournament bid that seemed so likely just a few days ago. The future is still very bright in College Station. Kennedy signed what is currently ranked as the nation’s third-best incoming freshman class, including four players ranked in Rivals.com’s top 66. Additionally, the Aggies are expected to only lose Kourtney Roberson and Jordan Green from this year’s team. Still, Texas A&M had a really good chance to get a head start on that bright future with a scouting trip to the Big Dance this year. Now the Aggies will almost certainly head to the NIT, wondering how it all went wrong and what could have been. Florida may have sealed its last two wins as much at the beginning of those two games than at the end of them. Against Tennessee, an early 10-0 run by the Gators allowed them to stabilize an otherwise lackluster first half (36.4% FG) and only trail a hot-shooting Vols team by one at halftime. To be sure, a couple of late threes from Michael Frazier and Scottie Wilbekin put the game out of reach, but the Gators might not have been in that position if not for that early turnover-fueled surge. The same can be said for their game last Saturday against Alabama. The Gators had an 8-0 lead before the Tide had even gotten the ball across midcourt. This early surge similarly allowed them to withstand some frustration with Alabama’s zone and 16 first half points from Trevor Releford. Sometimes it’s not only about how you finish, but also how you start. Where does Tennessee go from here? The Vols are out of chances for a sparkling Florida/Kentucky resume-enhancing win, but their NCAA Tournament situation is far from dire. They should be favored in all of their remaining SEC games other than next weekend’s contest at Missouri, and currently at 6-5, they could be in good position to rack up an impressive conference record. Pair this with their solid overall RPI and a win or two in the SEC Tournament, and Cuonzo Martin may get his first invitation to March Madness while living in Knoxville. Momentum was there for Ole Miss to grab. The Rebels had beaten a fellow bubble buddy in Missouri, and then faced manageable road games against Alabama and Georgia before massive back-to-back home dates with Kentucky and Florida. A three-game winning streak followed by a statement win would surely have been what the resume doctor ordered. But it wasn’t meant to be, as the Tide upended Ole Miss in Tuscaloosa last night. Trevor Releford (26 points on 8-of-16 shooting) refused to let another game slip away for the Tide when the Rebels regained the lead with just under 10 minutes left. The senior went on to score 14 of the Tide’s last 16 points, including a game-winning three with under a second left. He won’t be playing in the NCAA Tournament (or NIT, barring a minor miracle) in his final amateur season, but he can contribute to Anthony Grant’s program in a big way by playing hard and showing leadership despite the team’s struggles. There aren’t many young players on Alabama’s roster (just two freshmen and a sophomore), but he has set a great example nonetheless. The Rebels, for their part, essentially face a must-win game in Athens on Saturday. If they were to lose that one they could conceivably be stuck with a 7-7 record after the Kentucky/Florida gauntlet. That’s not a good look for a team that appears to be on the outside looking in right now. It’ll help if Jarvis Summers, who has had an excellent season, breaks out of his mini-road slump. In the Rebels’ last two losses at Kentucky and Alabama, he’s only 6-of-22 from the field and 1-of-6 from three despite shooting 50 percent (and that’s not a typo) from distance on the season. Marshall Henderson may be the Ole Miss wildcard, but Summers has been the steady hand that Andy Kennedy needs to return sooner than later. Johnny Jones has to plug a hole in his rotation after losing Malik Morgan for the rest of the season. The sophomore injured his knee during LSU’s weekend win over Auburn, and had surgery Monday evening. “It’s certainly a blow to us,” Jones said. “That’s an area we are certainly going to have to look at and find out exactly how we will dispatch those minutes. He was able to give us positive minutes.” Jones indicated that freshmen Tim Quarterman (12.5 MPG) and Shane Hammink (6.3 MPG) will be counted on to replace Morgan’s 15.5 minutes per game. This isn’t a crushing blow to LSU since Morgan wasn’t relied on heavily on either end of the floor. But it does limit Jones’ options, and takes away a high energy player and occasional starter. 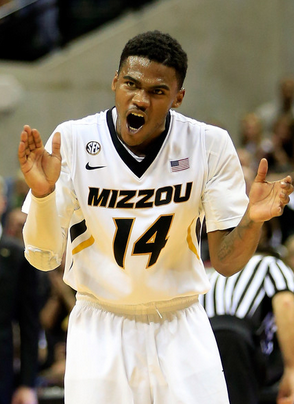 Morgan’s length (6’4’’) and energy was valuable when the Tigers went to a zone look. Quarterman and Hammink do both have length, which is good for Jones. The other angle to this injury is how it’ll affect Morgan’s development. Andre Stringer and Shavon Coleman are seniors so there will be an openings on the perimeter next season, and a full season of games would’ve been ideal for Morgan and LSU. Kentucky has won three straight games. 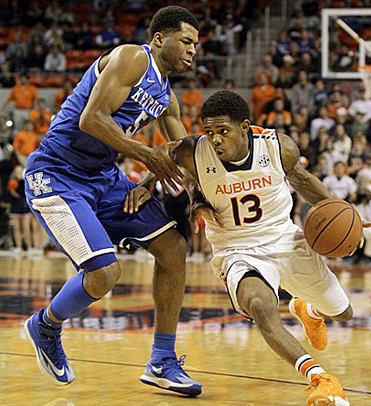 Up next is an Auburn team against which the Wildcats own a 15-game winning streak. And after them? The third-ranked team in the country and the SEC’s biggest game to date. That game would lose a tiny bit of luster if the Wildcats are caught overlooking Auburn and suffer a letdown. “There’s no risk in overlooking Auburn. We all know that Auburn can beat us. We know that we’re going to get their best game. We know that they’re a very, very good team who has two guards who are really playing well,” said Kentucky assistant Kenny Payne. 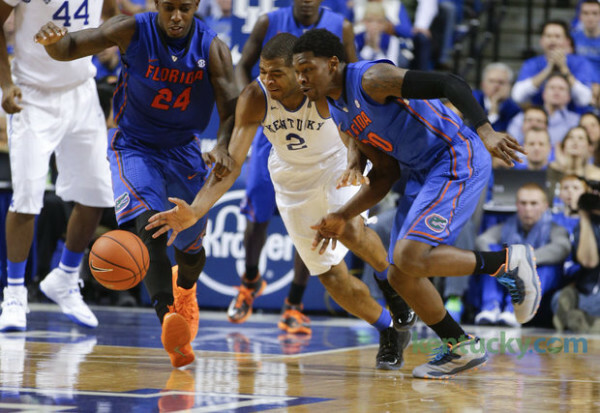 Count tonight as an unexpected measuring stick in the great experiment that is the 2013-14 Kentucky Wildcats. It’d be hard not to be excited for the upcoming game against Florida at home, and how hard the Wildcats play against Auburn will reveal a lot about their team maturity and development. It’s an easy game to look past, but Kentucky has already been burned on the road by a tandem of high-scoring guards. KT Harrell and Chris Denson average more combined points per game (39.6) than Jordan Clarkson and Jabari Brown, who went for 61 against the Wildcats. 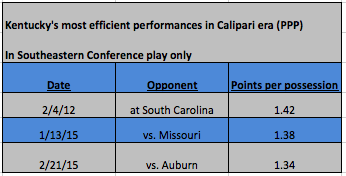 This also might be another good chance for John Calipari to work on the zone defense he’s flashed recently. Harrell has been effective from deep this season (39.1 3P%) but that’s been it for the Tigers. As a team they’ve shot 31.9% from three, and two of the three players that dominate the ball (Denson and Tahj Shamsid-Deen) shoot under 30.7%. A final interesting angle to a game that looks mundane on the surface is the relationship between Calipari and Tony Barbee, who got his coaching start as a graduate assistant under Calipari at UMass, and was on his Memphis staff for six years. Since Barbee is sitting on the hot seat, this could be the last time the two face off in the SEC. There were some upgrades for the SEC this season after Mike Slive mandated tougher scheduling outside conference play. For one, despite not actually winning any of its tough games, Alabama did jump from the 69th toughest nonconference schedule in 2012-13 to the ninth toughest this season. They weren’t the only teams to upgrade. According to the Associated Press, “Kentucky (59th to 14th), Mississippi (271st to 103rd) and LSU (234th to 137th) are also among the teams who made big leaps in strength of nonconference schedule.” This still wasn’t enough, as the SEC nonconferene RPI on the whole was bad, and only Kentucky and Florida have tournament spots seemingly locked up. Slive’s policy should start to see greater returns over the next few years when coaches have greater flexibility to add more name-brand opponents. It’s unlikely anyone schedules like the Tide this year: they played Wichita State, Duke, UCLA, Oklahoma and Xavier. But their fate shouldn’t be a cautionary tale that scares off other SEC coaches. Had the Tide won even one of those difficult games (and they were close) their season could’ve taken on a different feel RPI- and momentum-wise. The SEC doesn’t currently have the cache to get their teams in based on conference play alone. 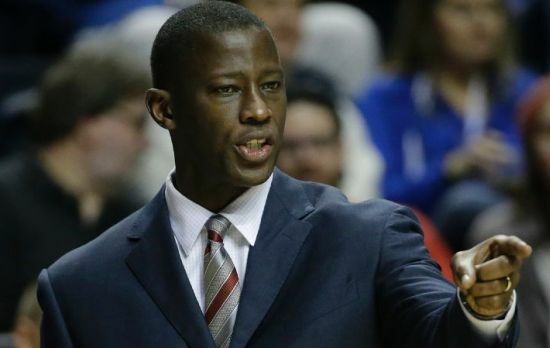 Risks like Anthony Grant’s aggressive nonconference schedule need to be taken to build national respect.